How do you entertain with house full of kids? Entertaining is difficult for me for a few reasons, but mostly because of my dog. A lot of people are afraid of dogs, if you can believe that! He also barks, which can wake up the kids if said entertainment would be after they are sleeping. Most of the entertaining I do includes the kids though, which causes other stresses such as fights over toys, messes made and left behind, etc. Of course I like having my friends over when possible! What kind of traditions does your family do during holidays? Most Jewish holidays involve food, so we usually have people over and / or go to friends’ houses for meals. How do feed relationships with non-mommy friends? I have to say that most of my friends have kids! 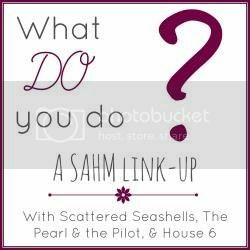 What do you struggle with the most as a SAHM? The guilt of staying home while my kids go to school. And the rearranging of schedules. What is your best funny/embarrassing/cringeworthy mommy moment? I really can’t think of anything in particular. I guess just any time I yell at the kids in public! 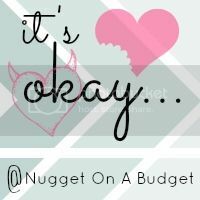 …that I haven’t done an it’s okay post in a few weeks – sorry Kera! …that watching Revenge just isn’t helping me feel better about being all caught up with Scandal. …that even though I’ve paid for the kids to eat latkes at school today, Zachary won’t eat them so I had to make him lunch anyway. …to be terrified of the stomach bug that’s going around and to pray it won’t come here. …that I am still looking at online deals even though I’ve bought all our Hanukkah presents. …to be sad when Hanukkah ends. …that I’m proud when Simon wants to watch the Muppets. …to get stressed out sometimes. …that I didn’t write a goal post this month.